Our Coachella sources tell us Beyonce fired about 20 of her backup dancers earlier this week. 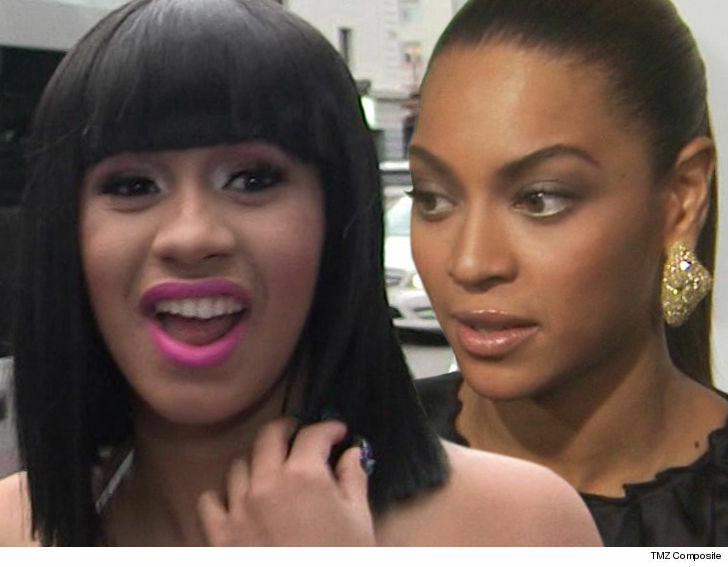 It’s unclear why Bey axed the dancers — as we told you, she’s got plenty to spare — but we’re told about a dozen or so hit up Cardi’s team to get into her highly-anticipated Sunday show. Our Cardi sources tell us she already had about 16 backup dancers when the new crew came calling. We’re told Cardi mulled it over, and liked the idea of making her act even more grandiose. The plan is now to hire 4 to 5 of Bey’s ex-dancers, and confidence is high they’ll be able to nail the choreography in time. The set should be a huge spectacle. Cardi recently said she plunked down about $ 300k of her own money to cover production costs, but we’re told costs swelled to as much as $ 450k. And in case you’re wondering … we’re told Cardi won’t be hiding the baby bump.